It started one Saturday this summer. Traffic backed up near Compo Beach. Ed and Leslie Gallant waited a while to enter. Once past the gate, they had to hunt for a parking spot. On the boardwalk, the couple — who moved to Westport in 1978, and enjoyed the beach all those years — noticed a non-stop stream of people. They wondered if a special event they had not heard of was going on. The next day, Compo was even more crowded. Cars, people — it was crazy. 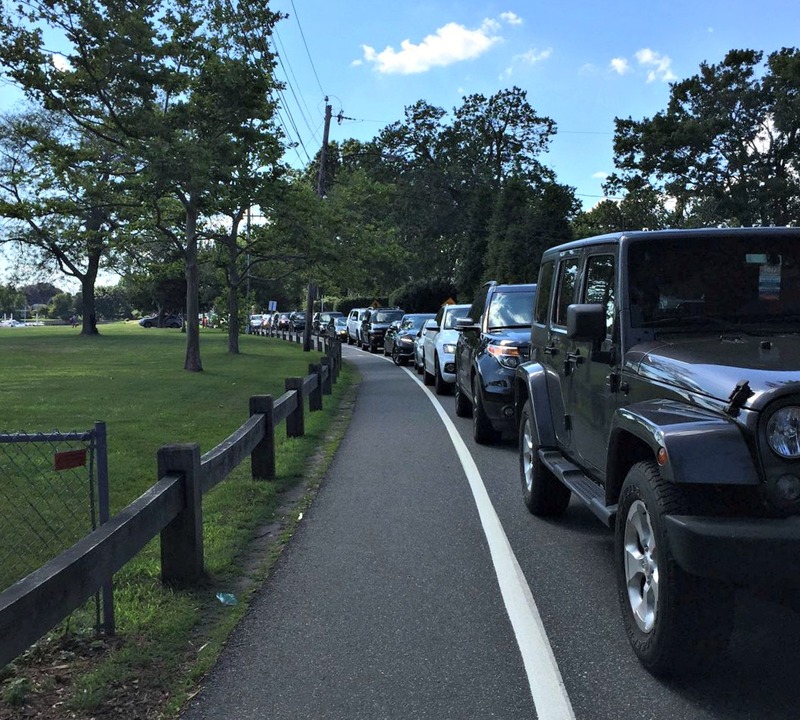 The line of cars waiting to get into Compo Beach was long this past summer. They mentioned the situation to their neighbor, Geralyn Breig. She’s been here 20 years — and she too noticed a change. Breig and her husband own a Hobie Cat. But so many cars parked on the gravel lot where it was stored — while other vehicles blocked the boat ramp — that they could not get their boat in the water. One of Breig’s sons works at Joey’s. He said the concession stand was packed too. Nick Sadler is a more recent arrival in town. But he also thought Compo changed this summer. The friends all talked, and wondered what to do. The Gallants and Breig attended a Parks and Recreation Commission open meeting at Town Hall. Breig read a statement, noting the interrelationship between increased crowds and more trash, messy bathrooms, drunkenness and more. The meeting grew divisive. The Gallants and Greig were discouraged. The ad hoc group went to work. On Sunday, September 25, their website — Friends of Compo Beach — went live. Within days, it had thousands of views. Restore a safe, clean, environmentally sound beach. Organize residents to keep up activity until the situation is fixed. “People care,” Leslie Gallant says of the near-instant positive reaction to the website. Some of those comments came from Weston residents. They pay more for their beach sticker than Westporters, but less than other out-of-towners. It’s October. The beach opens officially — with Parks & Rec employees checking stickers and collecting fees — 7 months from now. “We’re looking for fair solutions — and swift action,” Gallant says. 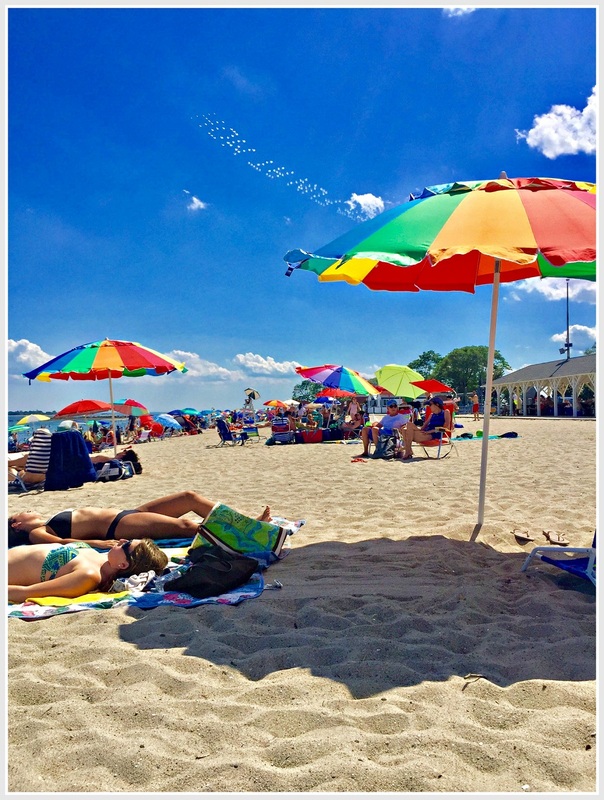 This entry was posted in Beach, Local politics, Organizations, People and tagged Friends of Compo Beach, Geralyn Breig, Leslie Gallant, Westport Parks & Recreation Commission. Bookmark the permalink. The article misses the point. As I walk the beach sometimes I count 6 out of 10 cars with NY plates. We have a lot of visitors. Home owners on the Beach are watching out of town vans pull up as multiple families are unloading to spend the day at our beach. Create a seperate parking lot for out of towners. Move the visitors parking lot away from town residents as a courtesy. It is not about fairness it is about privilege and logic. the problem of vjolume will not fix itself. We have become the mini Hamptons only 1 hour away. We need to find a way to get this traffic over to the public beach. Quite simple, make Compo Beach private, open only for Westport and Weston residents. Let Sherwood Island take the brunt of the masses. As for educating the locals (relative new comers) as to being considerate, mindful, polite, respectful, etc. I wish Friends of Compo Beach the best of luck. Sherwood Island closes around 9:30 am on the busiest weekends of the summer because they have a capacity limit. Westport gets the overflow. Let’s hope no out of towners start up an Enemies of Compo Beach in retaliation. I gather that some guys in the British military joined just such an organization back in April of 1777. — boys, you mean, promised money for their families if they followed commands. Sounds familiar. Yes, it’s called a “job”. — which makes beach access a silly problem. Why? Because the “Haves” and “Have Nots” rely on each other. No? Not sure what you are saying….beach access is a “silly problem” because “boys” are given money to “follow commands”? Are you referring to those who join the military? Are they what you are referring to as the “Have Nots”? “Have/Have Not” is a economic expression. The “Haves” help the “Have Nots”, and vice versa so to balance … life. Simply make all day passes only available online (must be printed ahead of arrival) and on days the line goes beyond Bradley St, then station a P&R person to check for sticker or pass, turn away those who do hot have one. Do not allow bottleneck at shack or satellite lot. 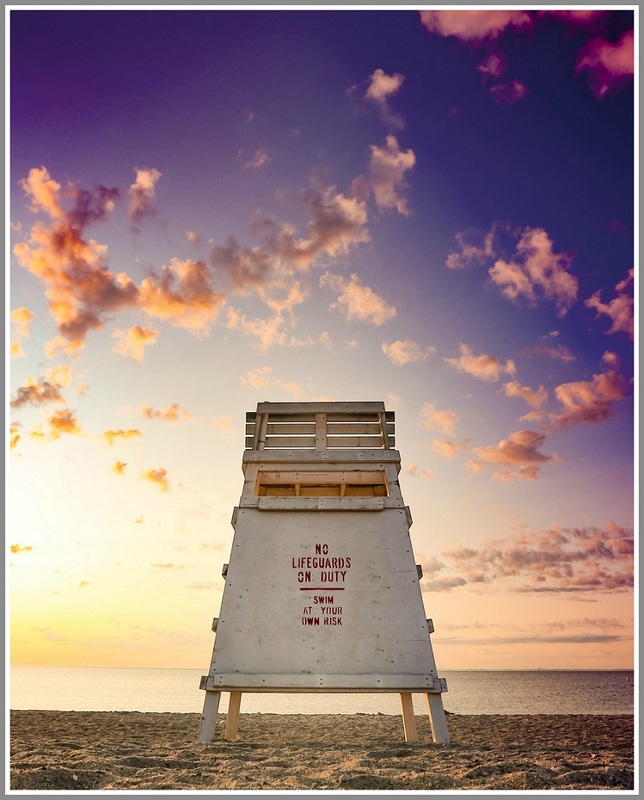 Living in Norwalk, I cannot utilize Compo Beach (we do have our own though not as nice). However, I thought I read that Uber was delivering some patrons to Compo and thus creating some of the traffic problems. Perhaps this is untrue, and thus the solution lies beyond. I am interested in the “Reduce crowds,” “Fix traffic” and “Ensure parking” bullet points. The others are no-brainers. Does the FOCB assn have any stats on how many more beachgoers and cars there are – year-by-year? Awwww westport it’s a public beach not a private club. Is it the blacks or Spanish from new York that bothers you the most. I don’t care if they are green or purple — I’m paying $11,500 in RE taxes on 1/10th of an acre for the joy of living block from the beach and think ubers full of people jam my neighborhood. Why is Parks & Recreation allowing large events to be held at Compo Beach? I took 8 event permits, from a list of 70 issued, and asked for the dollar amount of revenue from P&R? How surprised was I to learn that 8 events brought in $20,410.00. Is Compo Beach in the event business? No! Is P&R turning Compo Beach into a N.Y.C profitable parking garage? It sure looks like it. Think about it, you are a guest attending an event from out of town you have to park your car at Compo Beach and pay an out of town rate. It’s genius! Unless you are a resident of Westport who has a beach emblem on your car and was turned away at the gate because you are told they don’t have any parking spots available which happened to me this summer. How do the residents of Westport benefit from having these events? Everyone knows this is an election year. The P&R commissioner is appointed by our Selectman, commissioners are not elected. This November your vote could affect the future of Compo Beach. Ask Melissa Kane & John Suggs how they see Compo Beach moving forward? I know many of you have written to our Selectman & our Commissioner & Director of Parks & Recreation. They say they hear us but are they listening? I am quite confident the issue is over-crowding of the beach, resulting in long traffic jams and constrained parking availability. No one has even vaguely referred to ethnicity of beach-goers as an issue, and this discussion is not a pretext for such. This is about overcrowding of a Town resource that prevents those who pay for it from enjoying it. Chip’s on-line daily beach pass sales is a good idea that would ease the traffic at the entry, but a daily limit on non-resident beach pass sales needs to be instituted for July and August (perhaps weekends-only), and a limit on non-resident seasonal beach pass sales (not including Weston) should also be considered. 3 Grand or 20 overcrowding is going to affect everybody and it’s only going to get worse. I used to take nice kayak rides out to those little islands that you see from your million-dollar homes. I would have these islands as my own private getaway. Now I’m accompanied by tens two hundreds of them every weekend and my little private getaway is gone buy yes you West Porter’s you have ruined my little private getaway. I’ve since sold my boat. The good old days are over for the poor for the rich and yes you Westport it’s over for you also. How about implementing a process similar to Longshore Pool, where Westport residents who don’t have a pool pass have to buy a day pass? Persons being dropped off at Compo must pay $5 to receive a wristband, which will be the same color as the wristbands issued at the parking lots, that will allow the wearer use of the Compo bathroom for the entire day. This solution will require two Parks & Rec employees to be stationed at the women’s bathroom and men’s bathroom entrances, respectively, to check for wristbands or sell wristbands as needed. These employees can be the same employees who give out the wristbands in the parking lots in the mornings, and then move over to “bathroom duty” later. If only gun control was so easy. Pat McCarthy’s is the only post, other than this one, that is worth heeding. Compo doesn’t get the overflow from Sherwood Island. Compo Beach, our small town beach, has become a destination. Why am I waiting in line to get into a beach that I was always able to drive into quickly and easily for the last thirty five years? Perhaps, the new message sent by the Parks and Recreation Department on their website can shed some light. During the season, the first listing was an invitation to free movies at Compo Beach, open to everyone, no matter where you live. If this message is coming out of our own overseer of Compo Beach, I guess that we should have been ready for others to think that Compo is for everyone also. Say what you will about Stuart McCarthy, but we didn’t have these problems on his watch. Why was Sherwood Island sandwiched between three Westport beaches if not for the enjoyment of non-Westporters? Supply and demand? If demand is high, cut the supply (out of town passes) and raise prices. Revenue should stay equal but lessen the crowds. And use Chips idea for beach passes. ..definitely a very significant sewage problem …..something has seriously gone wrong!